Feel the Summer Heat. Cook! Inspire your Imagination. Encourage your Creativity. 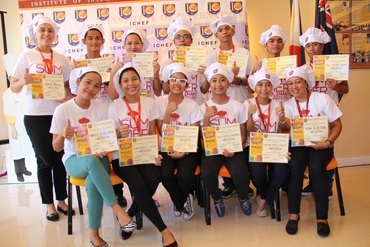 ICHEF believes in cultivating the city’s young chefs and once again, the Summer Culinary Academy 2015 gave them an arena to hone their skills and this will serve as a stepping stone for their future careers, or for some, it might be a turning point in their lives from which, they will cross the line and shift to the career their heart always desired - a career in the culinary and hospitality industry. The Institute of International Culinary and Hospitality Entrepreneurship (ICHEF) presents the Summer Culinary Academy 2015. This one of a kind academy inspired the learners to expand their wild imaginations and encourage their culinary creativity. The learners experienced cooking with the Master Chefs of ICHEF in the state-of-the-art commercial kitchen of ICHEF. The coursee offered in this one of a kind academy is the: Young Executive Chef, headed by Chef RJ Custodio, ICHEF’s Lead Chef Instructor, in which the students learned basic cooking and Baking Techniques with actual preparation of quick and easy dishes from soups to the desserts of the world. The students also learned basic fine dining service, the art of table set up and arrangement and fine dining etiquette for 10 session/3 hours per session. The courses are open for students and young professionals ages 12-20, and even for adults who wish to hone their culinary skills ages 20 onwards. 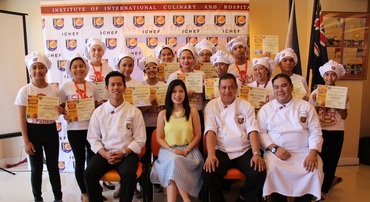 Last May 22, 2015, 10:00 am at the “Chef's Kitchen”, IChef Restaurant, the Summer Culinary Academy Graduation and Culminating activity was held. After the series of robust yet fun trainings the students have undergone, 17 Young Executive Chef Students finally reaped what they have sown. Certificates of completion were given and proud parents and loved ones witnessed that memorable accomplishment. After the brief programme, a palatable dinner prepared by the summer culinary students themselves, is served to the parents and loved ones, while some of the summer culinary students assisted by some selected ICHEF students did the fine dining service. 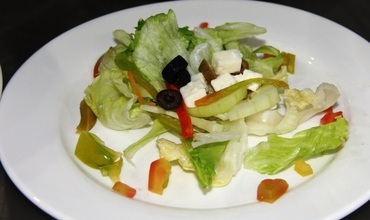 The students prepared the following dishes: Crispy Seracha Roasted Chicken, Buttered Vegetables, Mashed Potato and Greek Salad. 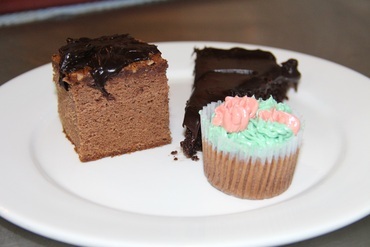 The guests also enjoyed the yummy desserts like Flourless Chocolate Cake and Vanilla Cupcakes. Of course, the whole meal will not be complete without refreshments. The guests enjoyed the one of a kind lemon-orange tea. The rest of the night was full of laughter and happiness as everyone ate their meals, with joy and a sense of fulfillment for witnessing another one of a kind ladder of success the learners have conquered. 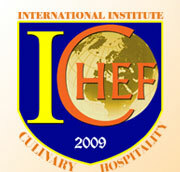 The Institute of International Culinary and Hospitality Entrepreneurship (ICHEF) is the leader in Professional Global and International Culinary and Hospitality Entrepreneurship which provides outstanding credentials by developing culinary creativity that will ensure a successful career in the International Culinary and Hospitality Industry with internationally renowned and multi-awarded resident chefs who work hand in hand in preparing the world’s greatest cuisine, thus making ICHEF the largest and premier Culinary Arts school in the country. 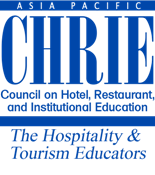 Together with its international partners American Hospitality Academy and Work Skills International, students graduate with dual certification proving the advantage of an ICHEF education. 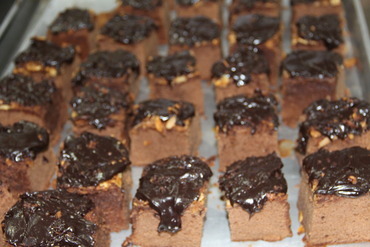 ICHEF is owned and managed by Joji Ilagan Bian. ICHEF is located at De Jesus Street, Davao City. 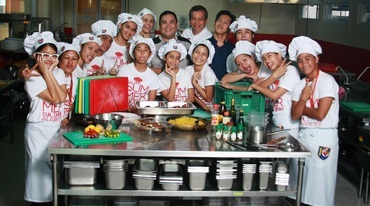 The school offers the first BS Culinary Management course in Mindanao. 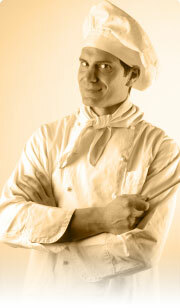 Looking forward for more aspiring chefs next summer!